The new highway from Baku to the Russian border is planned to be built until 2020, Azerbaijani Minister of Economy Shahin Mustafayev said at the round table on "Strengthening of Cooperation in the Field of Transport and Transit Transport", which is being held during the 9th Azerbaijan-Russia Interregional Forum in Baku on Sept. 27. "We have a highway leading to the Russian border, but as it is not satisfactory, a new highway will be commissioned by the end of 2020. As for the construction of the bridge over the Samur River, construction works this year started", S.Mustafayev said. The minister added that Azerbaijan and Russia can invest in the project at fifty-fifty. "We hope that the bridge will be opened after a year. It is also planned to create an excavation post". Railroad transportation between Azerbaijan and Russia grew 18 percent in comparison with last year, and exceeded 6 million tons, first Deputy Managing Director of Russian Railways JSC Alexander Misharin said on Sept. 27 in Baku during the 9th Azerbaijan-Russia interregional forum. He said volume of transportations between two countries increased by more than 31 percent. The volume of air traffic will also increase and we have a lot of work and good prospects to discuss." "At present, Russia is considering the possibility of supplying coal to Turkey and other countries via Azerbaijan"
Russia is a major partner of Azerbaijan in all areas of agriculture, Azerbaijani Deputy Agriculture Minister Ilham Guliyev said on Sept. 27 at a roundtable meeting on the development of agricultural ties as part of the 9th Russia-Azerbaijan interregional forum in Baku. “Azerbaijan and Russia are the closest regional partners and today’s roundtable meeting will promote even greater interaction in this important area,” he said. Guliyev noted that there is sufficient potential and willingness of the parties to close and long-term cooperation in this area. 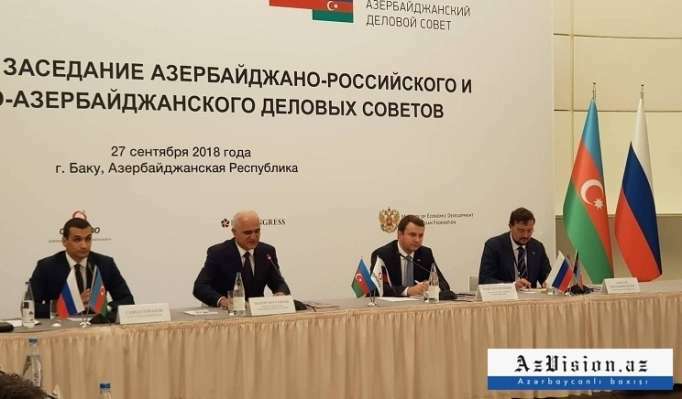 Interested countries can join the North-South energy corridor project, Azerbaijan’s Deputy Energy Minister Samir Valiyev said at a round table meeting “Industry and Energy: Prospects for Bilateral Cooperation”, held as part of the 9th Azerbaijan-Russia interregional forum in Baku. He reminded that the deputy ministers of Azerbaijan, Russia and Iran met to discuss this issue, and a relevant protocol was signed. “This is a very promising direction,” he added. Relations between Azerbaijan and Russia in the fields of energy and industry are developing successfully, Azerbaijan’s Deputy Economy Minister Niyazi Safarov said on Sept. 27 at a round table meeting “Industry and Energy: Prospects of Bilateral Cooperation”, held as part of the 9th Azerbaijan-Russia interregional forum in Baku. There are good examples of bilateral cooperation in these spheres, he noted. 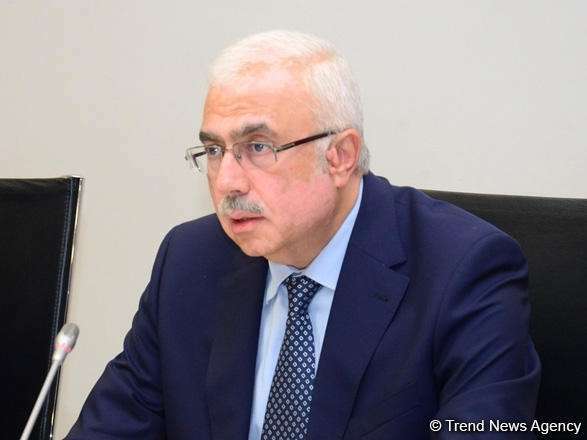 The deputy minister stressed that the Azerbaijani economy is developing very intensively and it has grown more than threefold over the past 15 years. "Cooperation oin transportation field between the countries contunies to develop. 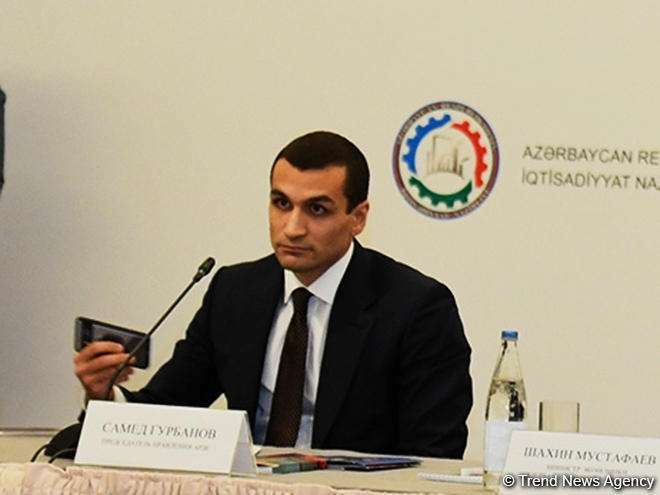 Both sides are interested in the development of these relations", Minister of Transport, Communications and High Technologies Ramin Guluzade said at the panel discussion on strengthening cooperation in the field of transport and cargo within the Azerbaijan-Russia business forum, AzVision.az reports. "The forum reflects the multilateral cooperation of our relations. Two countries signed mutually beneficial agreements. Besides, Azerbaijan's infrastructure companies are actively involved in Russia. Moreover, the sides signed an agreement on the creation of a digital transport system between the countries", he said. The Azerbaijan-Russia Business Council is ready to actively cooperate with the subjects of Russia, Council Chairman Samad Gurbanov said. He made the remarks Sept. 27 at an expanded meeting of the Azerbaijani-Russian and Russian-Azerbaijani business councils as part of the 9th Azerbaijan-Russia interregional forum. “We are very pleased to be ready to establish contacts with all the subjects of the Russian Federation, as well as to stimulate the interest of Azerbaijani business circles in investing in these regions,” Gurbanov said. He added that a number of major projects in the regions of Russia have been recently implemented by the members of the Council and with its direct assistance. The Azerbaijan-Russia Business Council was established in 2016. The main goal of the council is further deepening of ties in the spheres of economy and mutual investment between Azerbaijan and Russia, as well as cooperation between businessmen. To this end, the Azerbaijan-Russian Business Council closely cooperates with a similar organization of Russia, the Russia-Azerbaijan Business Council, and systematically holds joint meetings of business councils with the participation of businessmen. The previous meeting of the Azerbaijan-Russia and Russia-Azerbaijan business councils in expanded format was held in December 2017. The Russia-Azerbaijan relations are the ties of strategic partners, which cover different spheres of the economy, Head of the Russian-Azerbaijani Business Council Alexey Repik said. The business councils of Azerbaijan and Russia signed an agreement on cooperation. 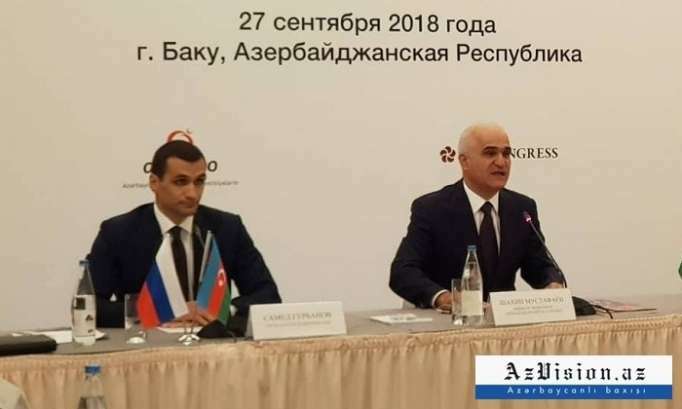 The document was signed by chairmen of the Azerbaijani-Russian and Russian-Azerbaijani business councils Samad Gurbanov and Alexey Repik on the sidelines of the 9th Azerbaijan-Russia Interregional Forum in Baku on Sept. 27. 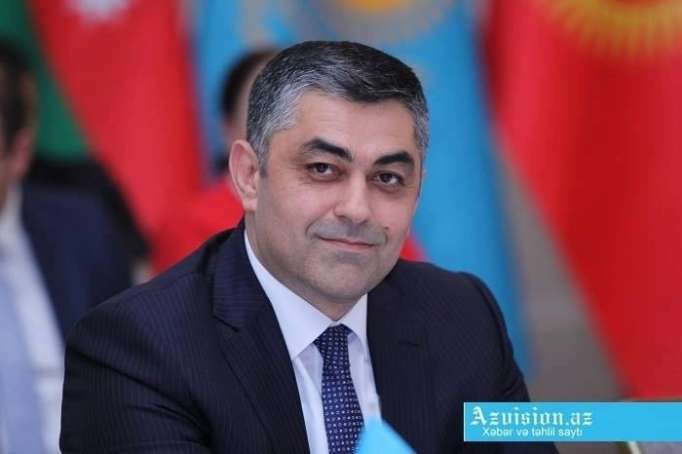 Russia is one of Azerbaijan’s main trade partners and ties between the two countries are based on the principles of good neighborly relations, said Samad Gurbanov, Chairman of the Azerbaijani-Russian Business Council. The Council aims to defend business interests, seek new ways and organize conferences to promote dialogue and business relations, Gurbanov said at the 9th Azerbaijan-Russia interregional forum in Baku Sept. 27, AzVision.az reports. "Trade relations between Azerbaijan and Russia are one of the important directions of mutual cooperation. Russia is one of the main partners for Azerbaijan's import and Russia is in the first place in the export of non-oil products", Minister of Economy of Azerbaijan Shahin Mustafayev told at an expanded meeting of the Azerbaijani-Russian and Russian-Azerbaijani business councils within the 9th Azerbaijan-Russia interregional forum held on Sept 27 in Baku, AzVision.az reports. "Azerbaijan is interested in further cooperation between the countries. These kind of events is a favorable platform for establishing direct cooperation between business circles and identifying possible cooperation areas for the implementation of mutually beneficial projects", the Azerbaijani minister said. Touching upon the Russian President Vladimir Putin's Baku visit, the minister added thar Azerbaijan-Russia relations are based on mutual respect and good neighborly relations and are at the level of strategic co-operation. The mutual visits of presidents, constant contacts between the business circles of both countries serve as an evidence of strong cooperation. 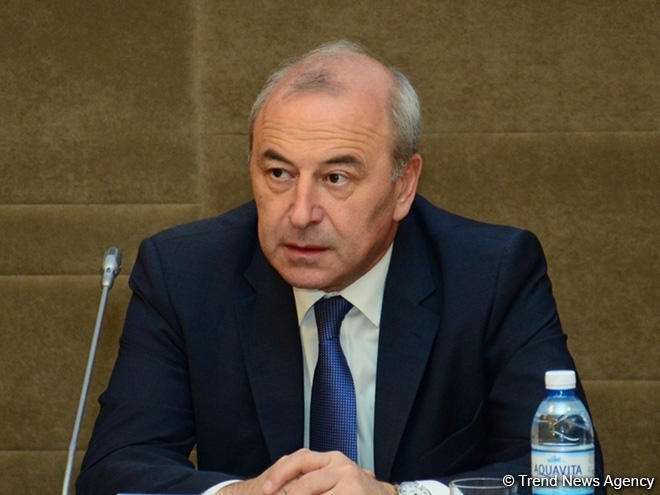 Mustafayev recalled that 17 documents and 6 documents in economic sphere were signed during the last visit of Azerbaijani President Ilham Aliyev to Russia. 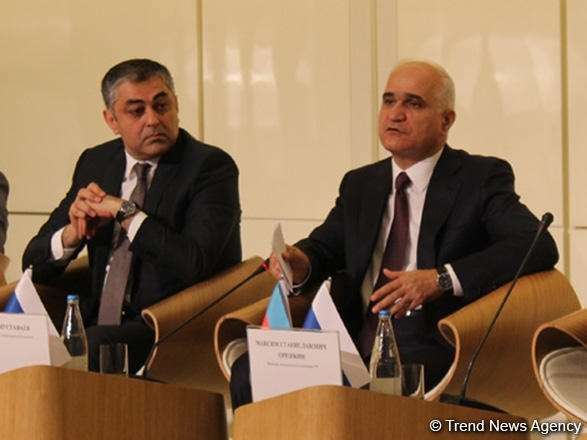 Mustafayev said that Azerbaijan has invested more than $1 bn in the Russian economy, and Russia contributed $4 bn in investment in the Azerbaijani economy. More thn 700 Russian companies are registered in Azerbaijan. There are broad prospects in the development of transport, energy, tourism, industry, agriculture. 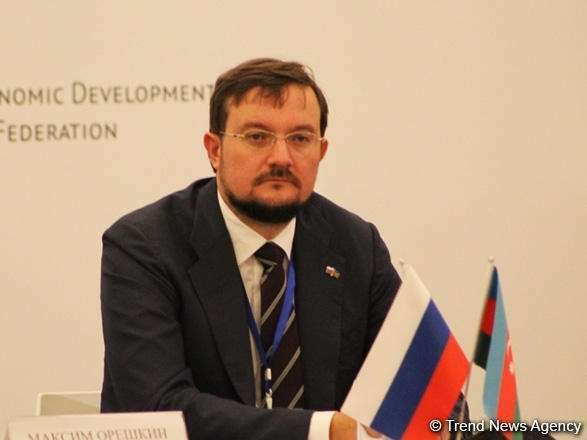 The Intergovernmental Commission on Economic Cooperation between Azerbaijan and Russia has been recomposed and its another meeting will be held in coming months, Russian Minister of Economic Development Maksim Oreshkin said. 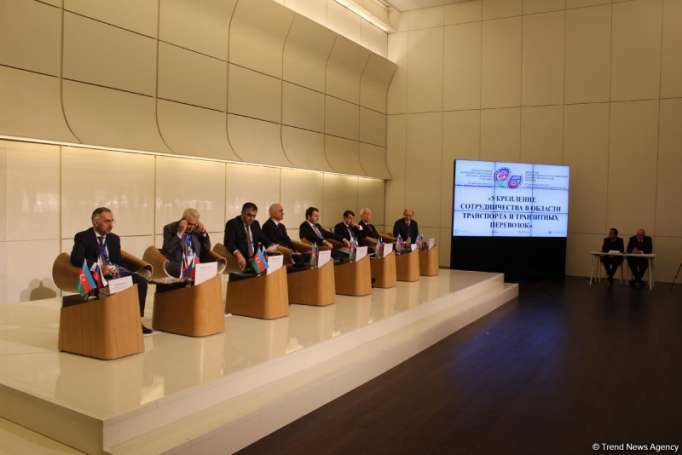 Oreshkin made the remarks in Baku on Sept. 27 at an expanded meeting of the Azerbaijani-Russian and Russian-Azerbaijani business councils within the 9th Azerbaijan-Russia interregional forum, AzVision.az reports. He noted that Russia is working to reduce barriers in cooperation with Azerbaijan. “The role of private business in implementation of projects is increasing significantly. The Russian-Azerbaijani business council will make a great contribution to these ties. Along with this, the role of regions in these issues is of great importance,” the Russian minister said. 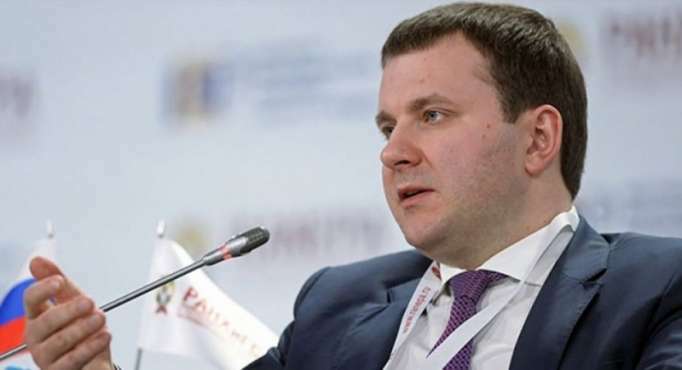 Oreshkin added that new projects are planned to be implemented at the regional level, which will promote business ties between the two countries.